One of the most popular Indian spices in almost every Indian household, however little less known in the Western world! I call it odd smelling, because unlike other spices which make you go ‘aaaahhhh’ this spice will make you go ‘yuucccckkkk’ . Its a gum from the sap of the roots or stem of a giant fennel like plant species. They come in solid gum like rock form or powdered variety. Setting its aroma factor aside this is a must-have spice in most vegetarian households and extensively used in many vegetarian dishes. The overpowering aroma reduces considerably during the cooking process. It is used as a replacement for garlic and onion in dishes. Asafoedita is a very pungent, bitter and heavy spice when uncooked or in raw form. It smells almost like sulfur. The taste considerably changes when added and cooked in a dish to replicate the taste and smell of garlic and onions. The most important thing to keep in mind when cooking with Asafoedita is to use it sparingly. A little imparts a strong taste so a pinch or half a tsp to a serving of 4-6 is advisable. There are different ways to use this spice for cooking. You can either add it directly in hot oil (tempering method), in between the cooking process along with other ingredients or adding it to some other liquid such as water, tamarind pulp, tomato juice etc. Few also advocate soaking it in a small amount of water before using it for cooking as it brings out the stronger taste. I advise you to give this spice a try especially if you enjoy eating vegetarian food or on a gluten free diet or are intolerant to garlic and onions. It may surprise you to know that this spice is used in many popular Indian spice blends which you may already be using such as Chat Masala, Sambar Powder, few curry powder recipes as well! You can add it to lentil or vegetable soups, a dash added with other spices for making a spice rub. Other than cooking it can also be used as a pickling spice. Combats Flatulence – Asafoetida soaked in water, made into a paste and rubbed onto tummies as been an age old Ayurvedic remedy to relieve flatulence in babies, toddlers, children and adults. Aids digestion – Adding a pinch of asafoetida to food that causes bloatiness in the stomach such as lentils, legumes, cauliflower, cabbage, raddish etc helps to make digestion faster and easier. A good substitute for Onion or Garlic allergies or intolerance – Asafoetida is a very good alternative to replicate the flavour and taste of onion and garlic. So good for those who are intolerant to the two. Reduces skin infection – You can also use asafoetida paste on to pimples, insect bite and other minor skin problems to reduce inflammation and itchiness and speed up healing. There are two different forms of asafoetida available. One that comes in a solid form that is brown in colour while another in a powder form mostly yellow in colour. The more popular of the two is the powdered yellow variety as its easier to use for cooking and has a much milder aroma. You can buy it in larger quantity and store it for later use or small quantities in bottles or jars. 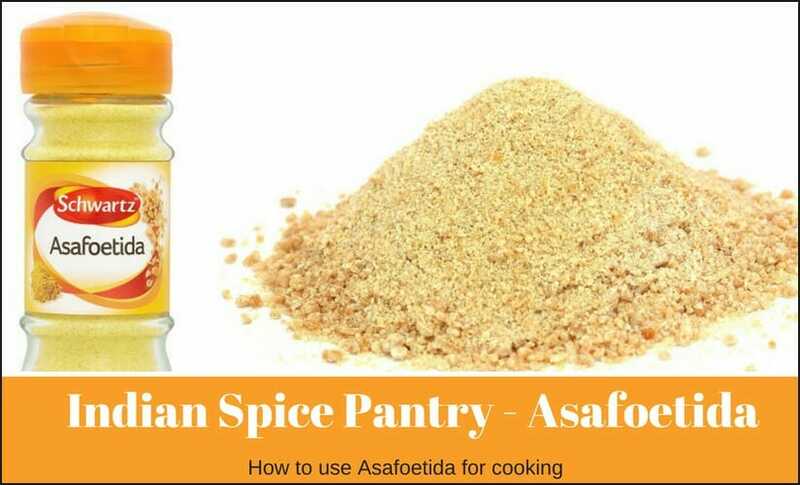 As asafoetida has a very powerful smell, its best to store it in an airtight container in a slight distant from other spices. Store it away from any direct light and heat. Make sure that the lid is tightly sealed or you can put it in another plastic container or bag. The reason for this is that the oils in asafoetida are very volatile and can overpower your entire spice drawer if not secured well. Well stored and packed asafoetida powder will keep its character and flavour for almost a year. Asafoetida powder is primarily used for vegetarian dishes and goes well with most vegetables, legumes, lentils, rice and other spices. If asafoetida is not your thing or the recipe calls to add it, then you can substitute it with onion powder or garlic powder. Fresh garlic, onions, shallots or leeks are also other options. I love to hear your kitchen adventures so please share any recipes made with Asafoedita that you love. Wow very nice article।…. Thanks for sharing such a useful information. This is really informative post. Not sure if we have that one here in Philippines but if this has a benefits.. 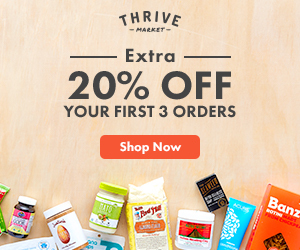 I probably recommend this to one of my friends that loves spices. Thanks Angel! You will be able to find this in any Indian store if you have one around you, or also order it from Amazon. Oh wow, I didn’t realise this had so many benefits – will definitely be taking a look into this. I have never heard of it but I will not shy away from it. I’m from Haiti, and sometimes are food is not the most appealing in look and smell; but surprisingly the taste is wonderful. I like the background information as well. never heard of this spice before but since i’m trying to eat more vegetarian dishes, i might have to try this. thanks for sharing! Hi Ashram! This relly is a great spice for vegetarian food! Do tey and let me know what you think. But make sure to use less of it! If this spice smells like sulphur in its natural state, no doubt I would keep it in an airtight container! Hard to believe that something that smells so nasty could turn into the smell and flavour of garlic and onions when cooked with our food. I have never heard of this spice, I am interested to find out if it’s available at our local Indian store.